You can overcome fear of flying. Sometimes it is even relatively easy to do, while other times it takes much more time and effort. We at Top Travel Tips offer some practical tips that can assist you dealing with your fear of flying. We love travelling and it saddens us to hear about people who cannot enjoy this wonderful world we live in just because they are afraid of flying. First, you need to understand why you are scared of flying. When you know what triggers your fear you can start researching which methods will suit you best to overcome your fear. However if your fear is debilitating then there are many fear of flying help available, including good self-help books and on-line professional programs. Why Are People Scared Of Flying? Fear of flying is one kind of anxiety disorder, or aviaphobia, but not all people experience their fear in the same way. Some are only afraid while in the air, while others start to feel anxious long before their actual flight. What exactly people are afraid of does also vary greatly. Some fear that the airplane could crash while others are afraid of possible terrorist attacks. Some have fear of heights, others might be concerned about their lack of control, some fear various weather conditions, some are concerned about any sound they hear during the flight and so on. Some even fear all aspects of flying. 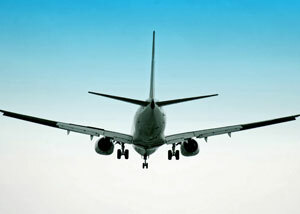 The fear of flying has usually little to do with the risks associated with the flight. This is why air safety statistic has limited affect when trying to overcome fear of flying. How Can You Overcome Fear Of Flying? Even though air safety statistics might not help you to overcome your fear of flying, it is still helpful to know the key statistic. National Transportation Safety Board and Civil Aviation Authority are good official air safety statistic websites. Browsing through these sites should help you to put the risk of flying into logical perspective but that is just one small, yet important, step in your quest to overcome fear of flying. Now you realize that you are more likely to be involved in car accident then airplane accident... and so what, you are still scared of flying! Understanding how airplanes work might help to put some of your concerns behind you and be useful in your quest to overcome fear of flying. The website Basic Principles of Aircraft Flight offers excellent information about how airplanes work. Browsing through this website could help you to realize that many of your fears are unfounded, and that some feared events are not only improbable but also not as dangerous as you might have thought. Most commercial airplanes have at least two (but usually more) engines. If one engine fails, the other engines are more than sufficient to allow the plane to conclude the flight safely. The chances of two or more engines failing simultaneously are extremely slim. However, even if all the engines stopped the airplane would not fall like a rock. The pilots would still have reasonable amount of time available to glide the airplane safely to the ground. Pilots are trained specially to deal with circumstances like this, i.e. in the unlikely event of engine failure. Talking about pilots... they undergo thorough training and health checks on regular basis, must rest between flights and there are at least two pilots on board on every commercial plane, i.e. as backup if something happens to one of them. Knowing key air safety statistic and understanding how airplanes work can help up to certain extend to overcome fear of flying. However, if you suffer from severe fear of flying, then more will be needed. Some believe that you really have to want to overcome fear of flying and believe that you can do so, that you must have enough willpower to fight to the end and be willing to seek professional assistant if struggling on the way. Which sound somewhat similar as if dealing with some kind of addiction? You might have heard about people that cannot board a plane without having a drink or two beforehand. There are however more efficient and preferable ways to deal with your fear of flying. In the days or weeks before your trip, avoid all news about plane crashes and under no circumstances watch any plane disaster movies. Make sure you concentrate on your travel destination, not your journey. Think about all the nice and fun things, you will be doing once you get there. Choose an aisle seat if you suffer from claustrophobia or are afraid of height. If you cannot book an aisle seat, talk to the flight attendant when boarding and they are likely to find someone that is willing to swap seat with you. Sitting close to the wing area might also be helpful as effects from air turbulence are less felt there than in other parts of the plane. Having to rush to the departure gate and worry about missing your flight will only add to your anxiety, so always allow enough time at the airport. If you can get access to airport lounge do so, they offer calming environment that is useful to help you to relax for your flight. Let the flight crew know that you are nervous, they are experienced in dealing with passengers that are scared of flying - you are not alone! They will pay you special attention during the flight, which should be reassuring. Meeting the pilot has helped some nervous passengers to deal with their fear of flying. Don't be afraid of asking to meet the pilot if you think it might help you, most captains are happy to help. If you start to feel anxious take a deep breath, it is an instant stress reliever. You might also want to turn on the air vents above your head, the flow of air tends to feel refreshing and can help you to feel less claustrophobic. Bring something to distract you during the flight. It could be a book, which you have been looking forward for ages to read, or new Sudoku to exercise your brain and keep your mind occupied. Bring whatever works best for you. Try to make yourself as comfortable as possible during the flight. We have chosen our favorite In-flight Comfort Products for your convenience. If at any point during your flight you feel anxious about something, ask the nearest crewmember about it. He or she is likely to be able to put your mind at rest. It might be odd sound or too much turbulence for your liking, but there is likely to be perfectly logical explanation for it. Moreover, continue to concentrate on your travel destination. It is “the light at the end of the tunnel”, your reward for your courage and endurance. If your fear is particularly debilitating and you have tried all the relaxation techniques mentioned without success, then you should consider seeking professional help. There is various professional fear of flying help on offer. Firstly, there are numbers of good self-help fear of flying books available. There are also licensed therapists that can help you to figure out the causes for your fear and how to overcome them. Hypnosis is also increasingly popular option for those trying to overcome their fear of flying. There are also many excellent on-line courses available. Traveling the world is fantastic experience and it is a shame to miss out just because of your fear of flying. Flying is the safest and easiest way of transportation available to us humans.